There are three basic ways to look like a zombie: 1. Become one of the undead. This is by far the easiest way, but it has a few drawbacks. Mainly that you'll be undead and your diet will consist of 100% brains. Ick. Also, your higher brain functions kind of shut down so you're basically walking around like a zombie (Oh wait, we just got why they call it that). 2. Don't shower for a month and then don't sleep for like 3 days straight. Downsides? You'll have to listen to everyone ask you how you're feeling and telling you that you look terrible. Also, you will stink horribly and most people will have stopped associating with you. 3. 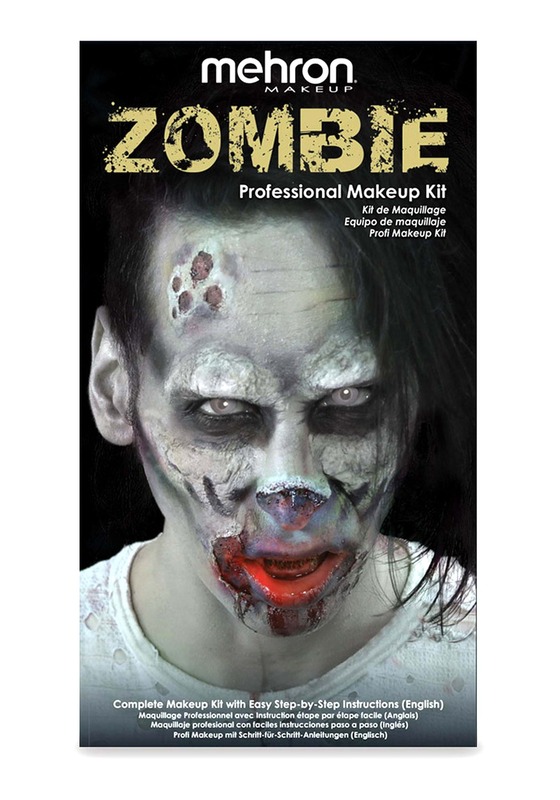 Just buy this Zombie Makeup kit. Isn't that so much easier than becoming undead or giving up your social life? Of course it is. With this zombie makeup, you slap it on and you're good to go. Now that we think of it, this way is much easier than the first way of becoming an actual zombie. Anyone with any brains would get this kit! It was great! Since the costume I bought came with a mask I unfortunately couldn't wear, because I have to wear glasses, this makeup was perfect!